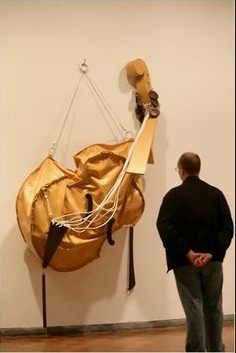 On one level it’s a joke, like their soft objects—the cheeseburgers, the instruments. But those are indoor objects. Striking, but comfortably within expectation in a museum. 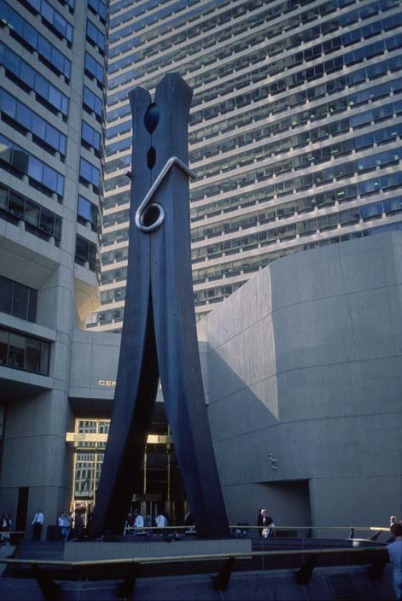 “Clothespin” has a more challenging task, surrounded by so much competing spectacle. But it’s such a taut, dynamic shape, and so in keeping, however oddly, with the tall, rather mechanical buildings that surround it, that it convinces as a vital and compelling piece of the cityscape. 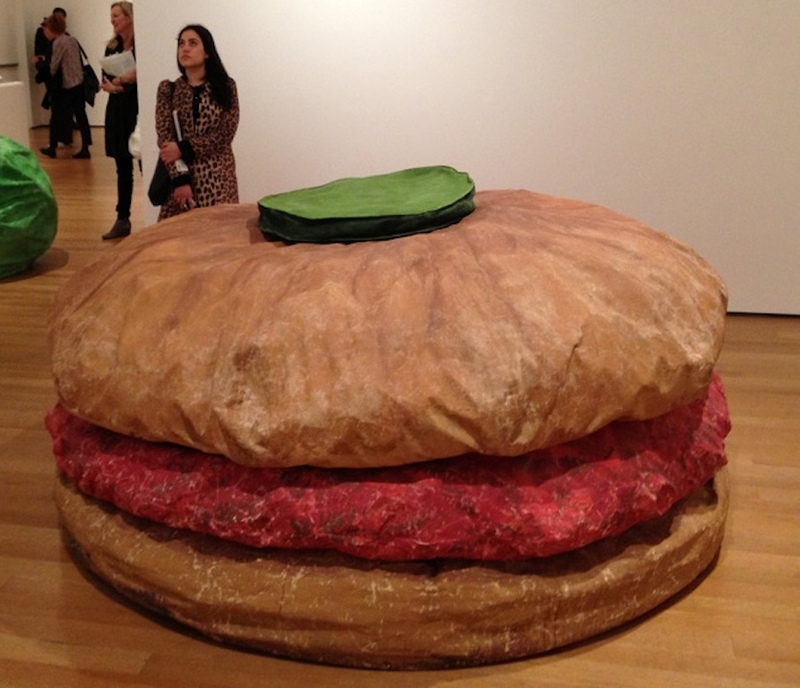 As opposed to many of Oldenburg and van Bruggen’s other big pieces, which I suppose are intended to be droll, but don’t hold up for me. 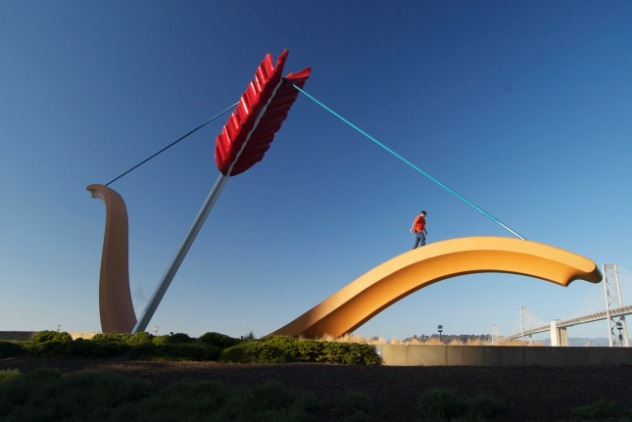 I’m thinking especially of “Cupid’s Span” on the San Francisco waterfront. Sixty feet high. I see it every time I go to the City. It doesn’t wear well. If it were up for a month I suppose it would be funny because it’s so unexpected, but after a few years it’s entirely expected. It’s gotten tired. 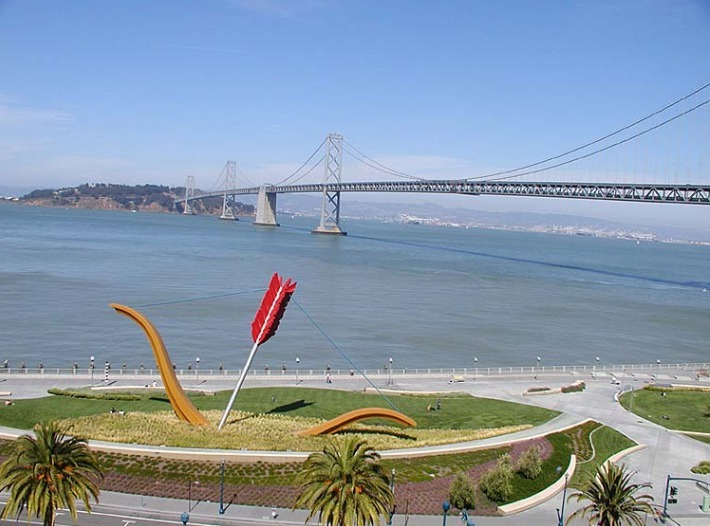 The waterfront is a very active place, full of its own flavor. This whimsy has no relation to it, and lacks the formal rigor that makes “Clothespin” so convincing. It all gets pretty subtle. When is the joke convincing enough that you smile even after the upteenth exposure? 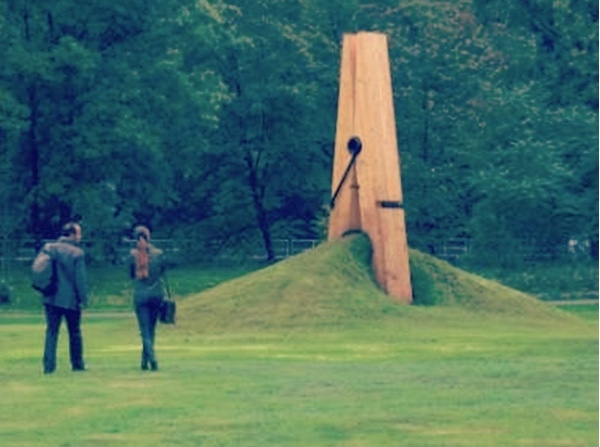 But speaking of clothespins, there is this piece in a park in Liege, Belgium, by Mehmet Ali Uysal. Uysal has made a specialty of clothespins, some rather ho-hum, but this is bizarrely wonderful. It plays with the landscape it’s in, rather than simply encroaching.